Hello lovelies! I have a glowing review for some nail care products I have been using for about 12 weeks now. I have been using them so long because I wanted to give my readers the most thorough review possible. If you've been following me for a while you know that I tend to keep my nails fairly short. This is for a couple of reasons. One is that my nails curve under a lot when I get a bit of length but the other, and more of the "deciding factor," is that my nails are very weak and thin and break or peel a lot. Or they used to. 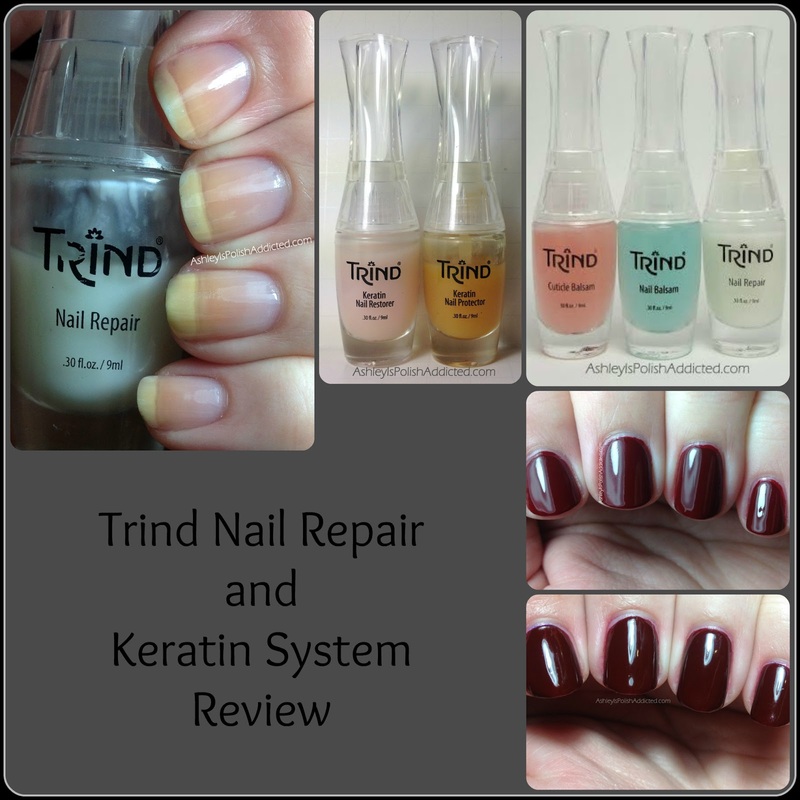 I started using the Trind products in the middle of November and have seen a HUGE difference in my nails. I lost some of my photos that I had been taking throughout this process so some of these are photos that you have seen in my swatch posts. Complete review after the jump! Good evening! Tonight I have the last installment of the Muscle Car Collection from Darling Diva to show you. I have already shown you all of the polishes in this collection over black so tonight I have a few of them on their own so you can see how versatile they are! Happy Valentine's Day! I'm not a huge fan of this holiday but I think it's always a great idea to show the people you love just how much they mean to you. 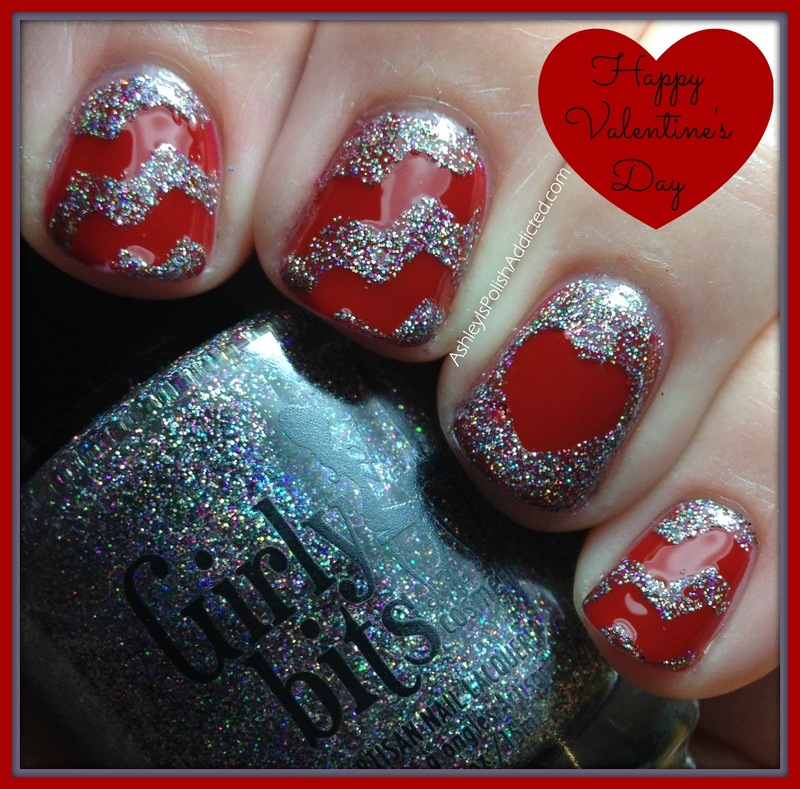 I created a fun nail look and I think it's great for Valentine's Day or year-round! 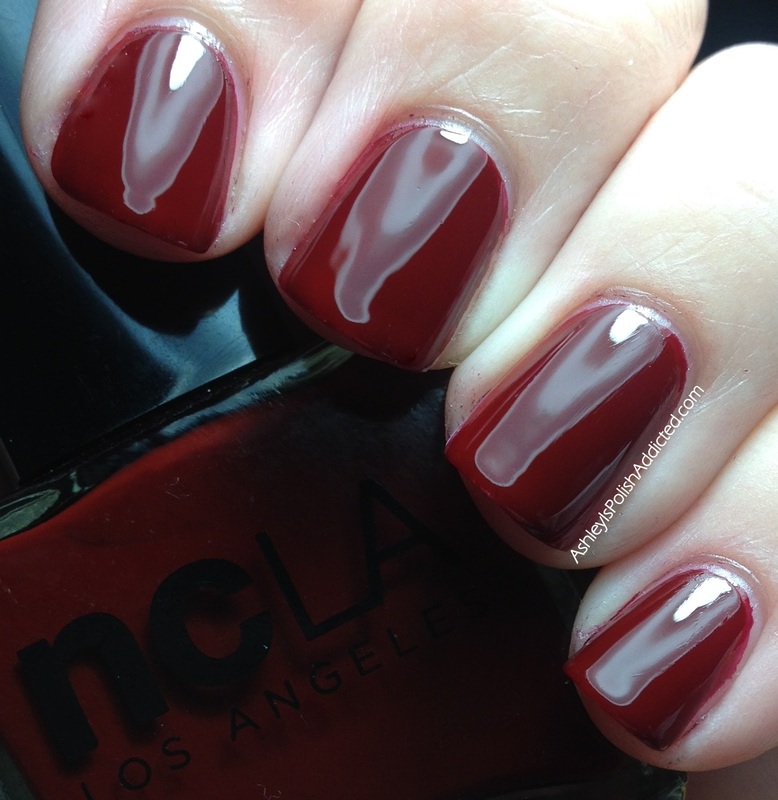 For this mani I used a base of a gorgeous bright red creme (Kiko 239). I then used the Sticky Nails stencils that I won in a giveaway on their Facebook page! This was my first time trying them and I loved them! I do think they are almost too sticky so I suggest applying them to your skin and then your nail to get just a bit of the tackiness off. I had been wearing the red base alone for a couple of days but if I had applied it recently I think the Sticky Nails applied without removing some of the tackiness might have pulled off my base color. But I loved the pre-cut shapes and the fact that they were SO easy! I will definitely buy more in the future! The glitter is Girly Bits A Stripper Has Been Sleeping In My Bed which is silver and holographic sparkleisciousness. I topped it all off with one coat of Glisten & Glow HK Girl. Good evening! I have a new-to-me brand and a new nail shape to show you tonight! I had been eyeing NCLA polishes for a while but hadn't pulled the trigger yet. This one popped up in a blog sale for a great price and I couldn't pass it up! Trying a new brand and it being a vampy red - yes, please! Good morning, lovelies! Today I have a different type of post for you. 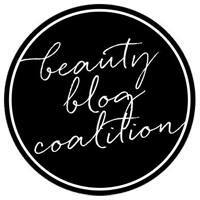 I am teaming up with several other beauty bloggers to talk about beauty - true beauty. I think when a lot of people hear the words "beauty blogger" or "nail polish blogger" they automatically assume the blogger is superficial. I'm not sure why this is but it is simply not true. 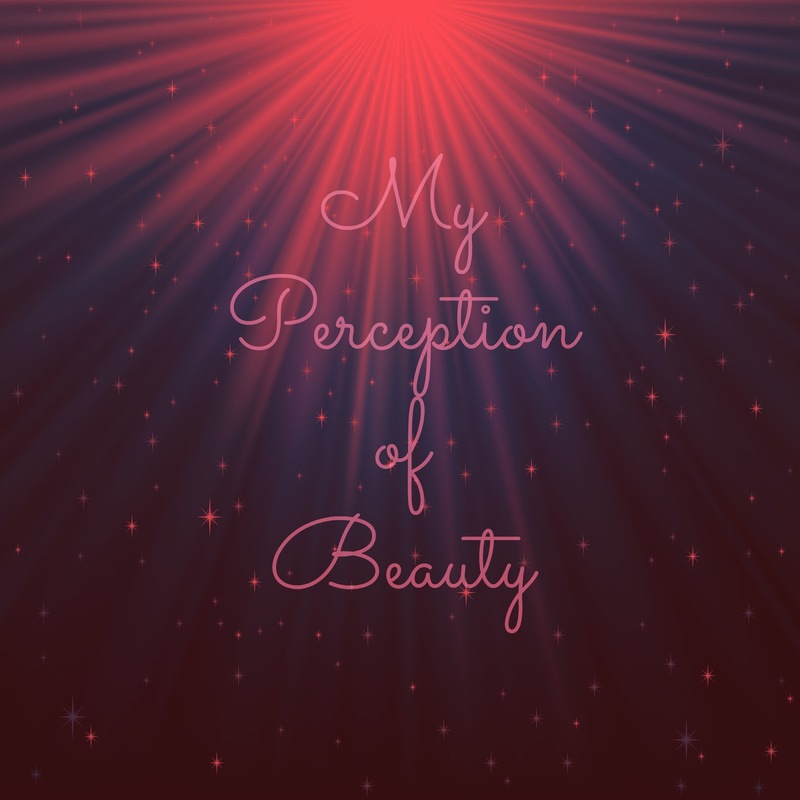 Just because I have a blog focusing on nail polish doesn't mean I don't value inner beauty more than outer beauty, in both myself and in others.